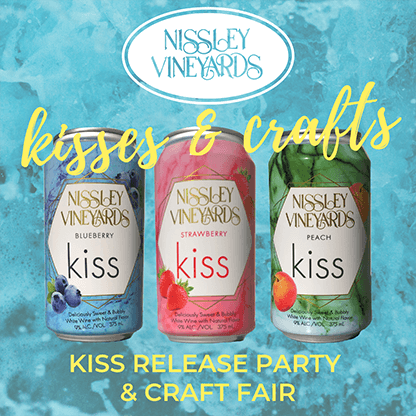 Saturday, September 23rd, 6:30-8:30 p.m.
Join us for an exceptional ‘Autumn Wine Tasting’ on the beautiful grounds at Nissley Vineyards. In-depth knowledge of wine not required, just an appreciation for the diversity of flavor! A welcome pre-pour and a farewell pour of wines perfectly suited for cool autumn nights. Informative sampling of six Nissley wines paired with Autumn inspired foods. Cost: $25 per person. Limited to 40 attendees. Tickets available online only. Sales end September 20. *Tasting will take place outside if weather permits. In the event of inclement weather, tasting will be held in the lofty main room of the winery.